I also invite you to watch the teaser I made for the "show" we plan to pitch to a major television network, once we have 10 episodes behind us. This is one. To sum it up, a coworker owns the oldest house in Lakeland, Florida, construction began in 1899 and it was complete by 1904. Ken (the owner) claims to hear children laughing in the home, and running up and down the stairs. You can hear kids throwing jacks on the floor in the attic. His neighbors say his daughter is so nice to stand in the top turret of the home and wave to everyone who walks by. Ken does not have a daughter. Our medium picked up on 10 spirits, 6 of whom passed away in the home. If you leave a personal item on the counter or kick your shoes off, you will likely find them elsewhere, like in a drawer or closet. There is a woman by the name of Mary Whitfield who used to be the house servant, and was very faithful and loving to the family, raising three generations in this home. She is said to haunt the home as well as a Fannie, Norman, Calvin, Margaret, and a few others. Anyway, we set up this camera in the attic where most of the activity is reported. Downstairs, we sat on the table an old record player and began playing a vinyl record of old nursery rhymes from the 1930s. We all walked out of the house to allow the house to settle while the music played. When this was captured, we were all standing at the end of the driveway, nearest the street, away from the house totally. Camera on the 3rd floor. You can very very faintly hear the music. But what you also hear is the sound of someone whistling The Entertainer. This was astounding to me, as just an hour prior, while the team was setting up the equipment, I myself was playing The Entertainer on piano (the very first song I learned in piano class as a kid). You hear the whistling fade away and then someone just kind of walking about the attic. 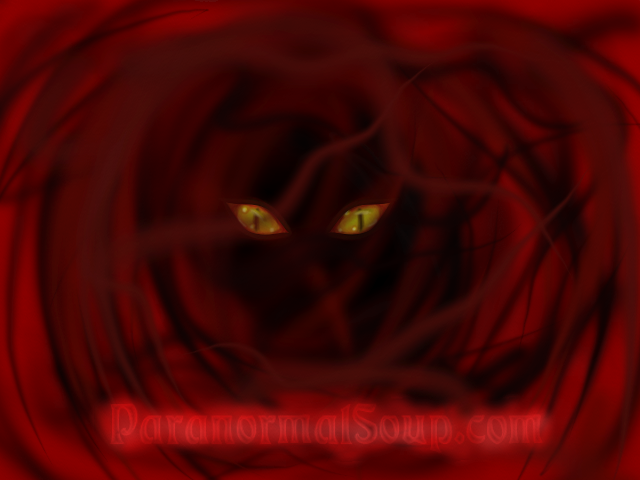 You can hear floorboards creaking and popping, and very clear footsteps as whoever was there walked around the room. It is important to note that the songs playing while we were out of the house were "Skip To My Lue" and "Baa Baa Black Sheep" and "Hickory Dickory Dock". None of these songs had whistling in them, and certainly not to the tune of The Entertainer. The voices you hear at the end is us all re-entering the house and making our way upstairs. So those voices are all our own, not part of the capture. What is fascinating to me is, we all came back inside very shortly after the whistling stopped. It makes me wonder if whoever was up in the attic was watching us walk back up the driveway to come into the house, and stopped whistling...and then hid...or walked somewhere to not be seen. What are your thoughts on this assumption? Also, below the first link of the whistling video, is another link to that same whistling, caught JUST down the stairs leading to the attic. You are facing an antique dollhouse, and the wall directly behind it is the entrance/stairway to the attic. Notice how the music gets louder (as this camera is closer to the already playing vinyl record) and the whistling is more faint (as it is coming from the story above). I firmly believe what we captured was a class A capture, of someone enjoying the music. It made me happy and I wanted to share it with you all. Edited by Flubby, 24 January 2018 - 05:06 AM. That's a pretty house. I like that people are being waved at by a little girl, I hope they wave back. I also liked your teaser trailer, it's pretty cool. What a wonderful location, and I loved your narration Thank you for sharing! Good Whistler! Very interesting capture! H,i was wondering if you might be going back to Mosswood Manor? I"m asking because my best friend got married there , she died a year ago and recently a Psychic stayed there come to find out my best friend ghost is living there. This doesn't surprise me at all but according to the psychic she kept her up all night talking to her even mentioned that every morning between 6 and 7 in the morning she sits on the from porch that faces the lake . She mentioned my name and other peoples names also. If you go there and ever find glitter that's my friend Lori she always had glitter ready to sprinkle. She even mentioned the little girl in the attic and the Indian, and the old man in the garden. The day my friend got married she put a hairband at the top pf the stairs for the little girl, it was gone when she went to check on it later. My friends picture is in the front room to the left on the table when you go in the front door. Hello and welcome to the board . Thank you for sharing; your friend sounds like a character. There are 2 videos with whistling but appear to be at different areas of the house. Are they close to each other so thar it's the same whistle caught with 2 different cameras or two captures of the same tune? There's no blurb info but the whistle seems to be identical but with different background noise. In the first vid I hear a couple guys talking and the song "Those Were The Days" (late '60's song not the TV show theme) playing in the background. Possible interference? I suspect the whistling could be part of the interference too? I don't hear any interference in the second video though. Edited by shadow0421, 24 June 2018 - 07:59 PM.